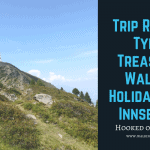 Hooked on Walking has created some fantastic self-guided and guided walking holidays across Austria. Now all hiking and travelling enthusiasts, no matter how much or how little hiking experience they currently possess, can enjoy the experiences and see the sights that have made Austria one of Europe’s most popular hiking destinations. Our walking tours are self-guided and guided and have been designed with everyone in mind so that everyone can treat their senses to an explosion of beautiful colours and culture as they make their way through this immensely attractive part of Western Europe. Experience first-hand Austria’s famed alpine scenery which is as renowned for its beauty as its many historic and cultured cities, like Vienna and Salzburg, cities which played important roles in making Europe the celebration of culture that it is today. Why Choose a Hiking Holiday in Austria? With its majestic alpine peaks, historical and delightfully picturesque cities, towns and villages, along with its exquisite country roads and forest trails, to hike through Austria is to experience the wonders of Western Europe at its finest. Whether you’re planning to visit Austria on a walking tour as a couple, a family or as a group of friends, you’re guaranteed to find the perfect walking holiday in Austria with Hooked on Walking, Europe’s hiking holiday experts. Our walking holidays in Austria are sure to appeal to hikers of all interests, from those interested in the famed wine growing regions of Wachau near the capital Vienna, to those who have their hearts set on exploring the treasures of the Tyrol. And for fans of the film the Sound of Music, there’s also the majestic alpine region of Salzkammergut which stretches from Salzburg to the famed Dachstein Mountains. Our self-guided walking tours take in some of the most exquisite and picturesque regions that Austria is famed for. This is an inherently beautiful European country boasting awe-inspiring alpine scenery and historical sites of significant importance, not to mention a great variety of tracks and trails perfectly suited to walking holidays. With so many fantastic walking holiday routes to choose from, you may find yourself a little overwhelmed by the choices you’re presented with. So, what do you hope to experience and see on your walking holiday in Austria with Hooked on Walking? Our walking tours have been designed to showcase Austria’s many wonderful regions, from the Magic Mountains which lie close to the Austrian capital of Vienna, to the renowned wine growing regions along the celebrated River Danube, along with Salzkammergut, the Tyrol and Jacobs Trail, a famous pilgrimage route. To learn more about our Austrian walking tours, please click on the links below. Our team of hiking enthusiasts have created detailed itineraries for each self-guided tour to help you make a decision. With this information, you can decide which walking holidays in Austria most appeals to your interests and also work out at what time of the year you’d like to go, how you’ll get there, and where you’ll stay. This region known as the Salzkammergut is considered one of the most beautiful treasures on earth. Enjoy gentle hikes and admire the views. A slightly more challenging walking holiday to our Salzburg Lakes tour. Even the mountain scenery and lakes. You will discover some of the most wonderful places in Austria during this trip. Available on Saturdays and Sundays from 1st June to 6th October.